Our Uniform Shop is coordinated by Leonie McDonald. Leonie provides an exceptional service to our families. Our Uniform Shop is located in Building One (opposite our Principal’s office) and is open every Monday between 9.30am-11.00am. Click here to view the price list. Uniform orders are placed online via FCW (external link). Orders will then be completed and ready for collection. We offer our Year 6 students special order commemorative polo shirts and rugby jumpers. There are “try on” sessions towards the end of Term 4 in order to have the items ordered, printed and ready for the end of Term 1. 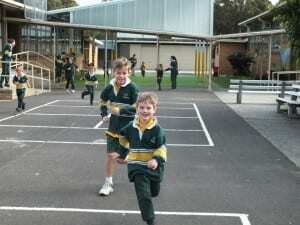 You will be able to order Year 6 garments here in Term 4 – NB shop not currently open. 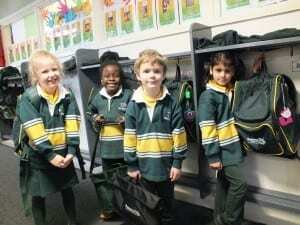 During our Prep Transition Sessions, our uniform shop is open, with uniforms displayed for viewing. We also hold second-hand uniform sales throughout the year, which we encourage families to attend, as often children grow out of their uniform before it has had time to wear out. Families are encouraged to donate uniform that they no longer require to our uniform shop.